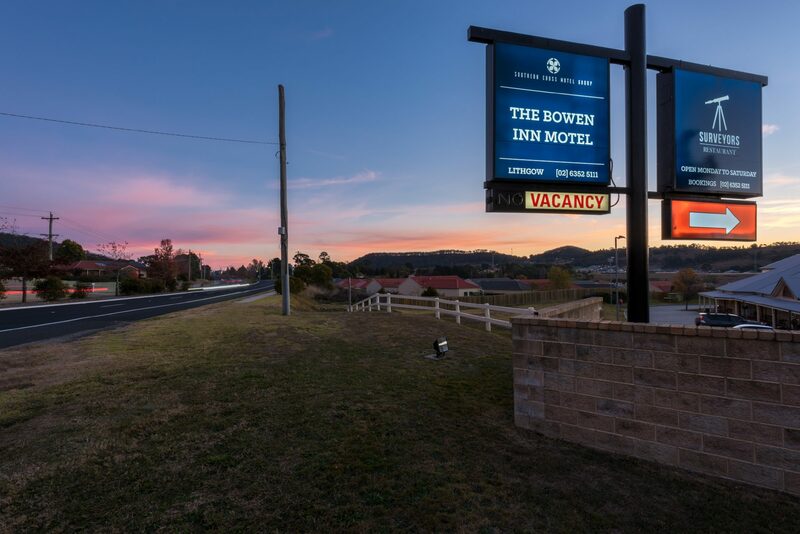 The Bowen Inn Motel is quality 4 star accommodation just off the Great Western Highway. 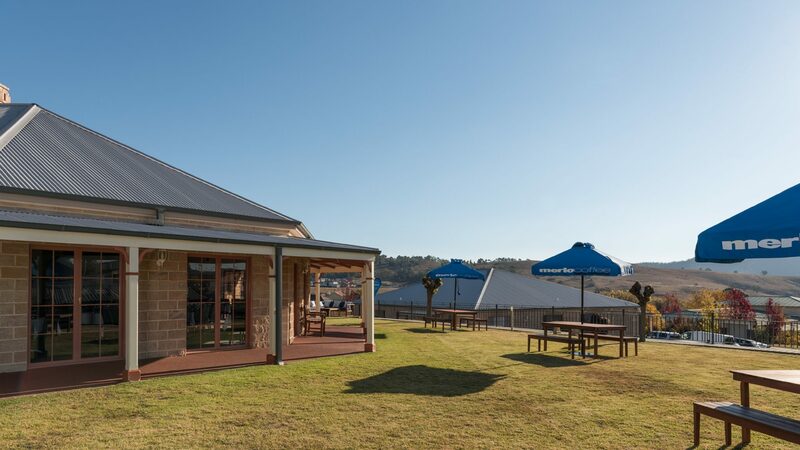 Our central location provides easy access to explore the Blue Mountains and surrounding countryside and an ideal base for business guests. 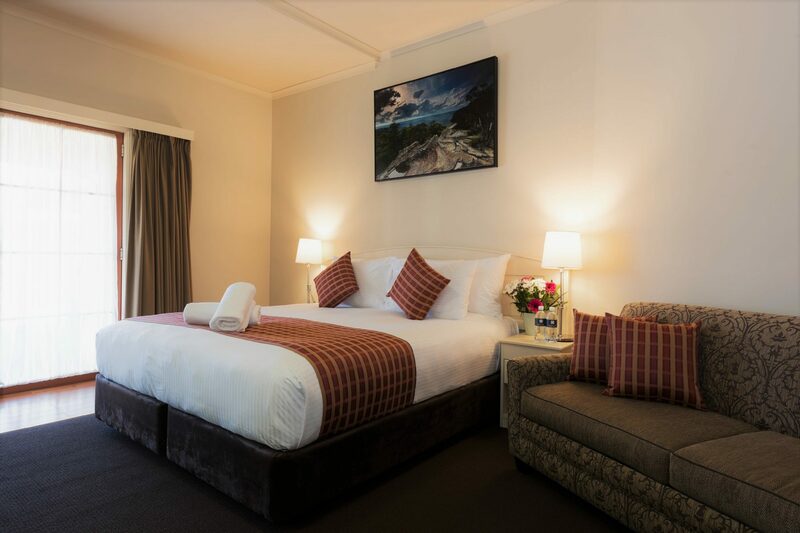 Our Lithgow accommodation provides a central base to visit the Blue Mountains, the Jenolan Caves and the Zig-Zag Railway. For car enthusiasts, Bathurst is a 40 minute drive away. 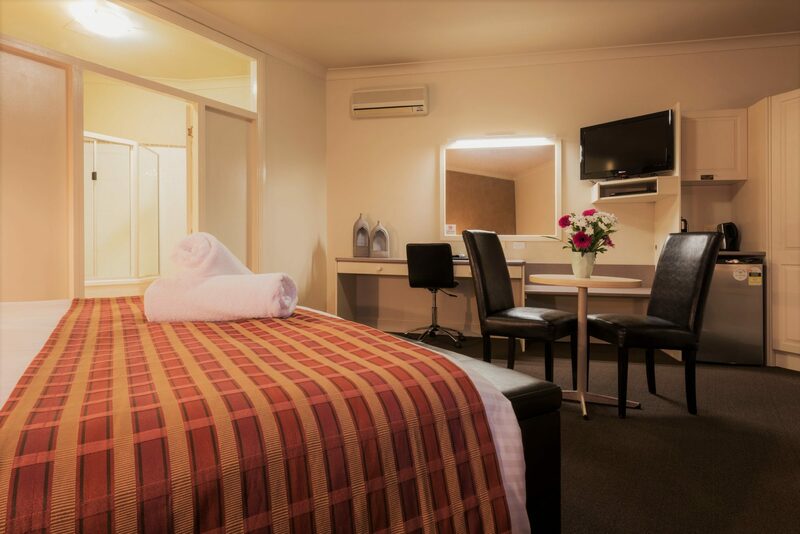 The Bowen Inn offers a range of accomodation and services for the business traveller, holiday maker or family in our 4 star Spa Rooms and Queen Rooms. From Sydney, follow the signs to Lithgow Hospital along the Great Western Highway. We are located on the left of the Katoomba side of town beside Lithgow’s new hospital. 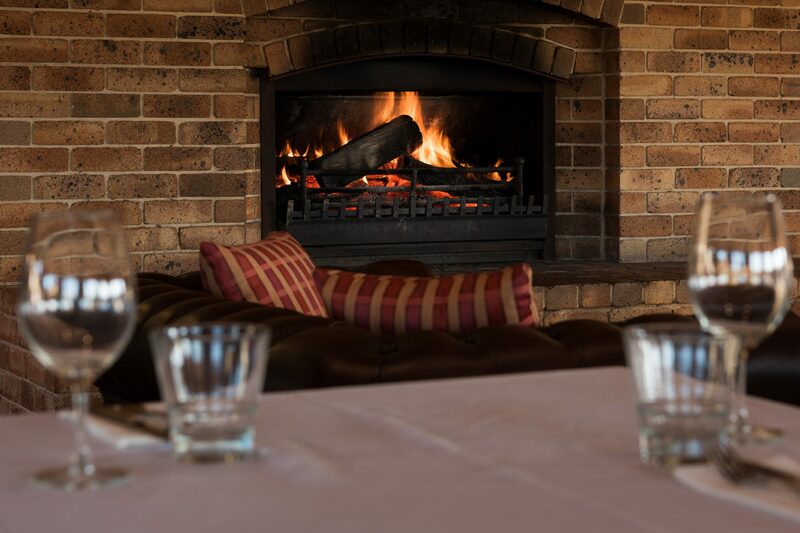 The restaurant at the Bowen Inn Motel, Surveyors, is the best place to eat and relax in Lithgow. 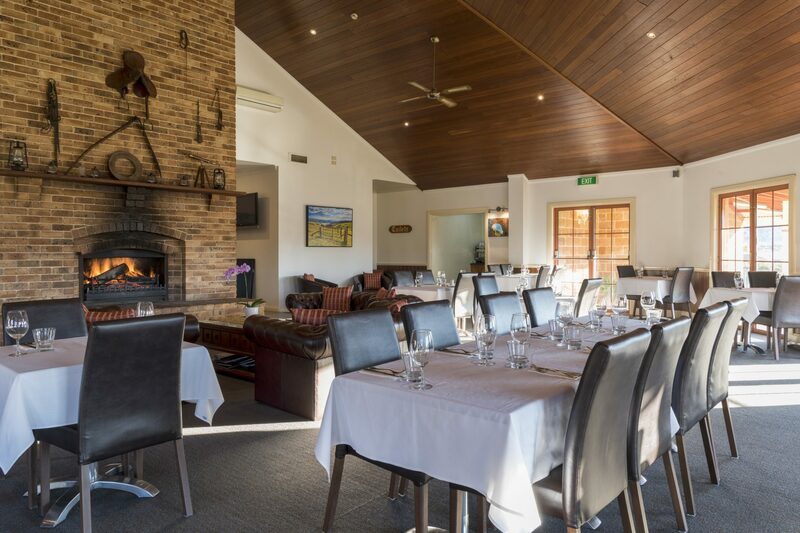 Open Monday through Saturday, the restaurant features a huge open fireplace with stunning views to the surrounding hills. The atmosphere is casual and relaxed, and our family friendly restaurant includes a children’s menu. 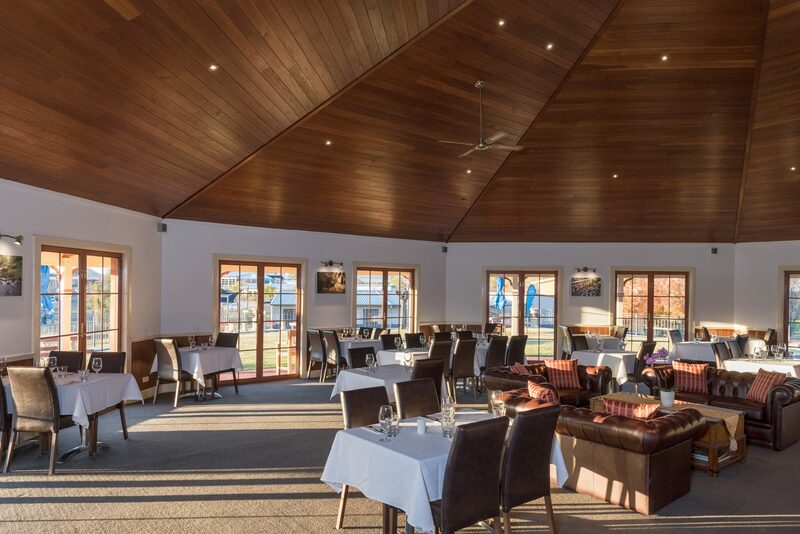 The menu changes with the seasons, and our restaurant uses the best local produce we can find from the surrounding NSW regions. With it’s elegant ambience, the restaurant is the ideal wedding reception venue. Our team is dedicated to providing excellent service to make your special day a most pleasant and memorable one for you. The Bowen Inn can also cater for all your conference needs.